Turmeric ; perhaps the spice of life! If you have Arthritis then Boron Is not Boring! Time to Make a Stand – it’s NEAT! 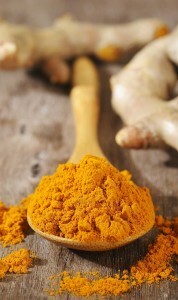 Turmeric is, probably, the most clinically researched spice. Its anti-oxidant and anti-inflammatory properties are very well documented, both as food and nutraceutical (supplement). Turmeric is certainly one of my go-to suggestions for the maximum number of health benefits from one source. You are almost certainly familiar with turmeric as the bright yellow spice used in curries; and Indians are well- known for liking curry. What you may not know is that turmeric contains active components that have been shown to pass into the brain and assist breaking down beta-amyloids, proteins that are implicated in Alzheimer’s disease. It may just be a coincidence but Indians have a high rate of turmeric consumption and a low rate cognitive decline (what Alzheimer’s causes). This remarkable spice does much more than ‘just’ help to protect your brain function. 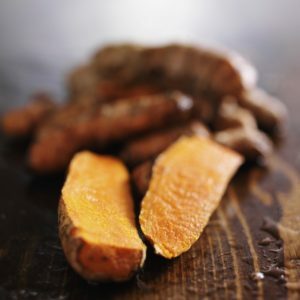 Turmeric has been shown reduce inflammation just as effectively as prescription drugs, but without the myriad of side-effects from gut ulceration to increased cardiovascular risk. Arthritis; as an Osteopath this is probably what got my attention first. Turmeric is well documented for reducing inflammation throughout the body, and this is really noticeable in its effects on painful joints such as osteoarthritis of the knees. Immunity i.e. helps strengthen immune function and fight infection. Cancer; has been shown to have positive effects on some cancer cells. Skin; in addition to the previously described benefits for skin it also helps resolve inflammatory skin issues. Detoxing; helps the liver in its vital role of breaking down harmful compounds. I observe the clinical value of turmeric every day, in both acute and long-term pain/inflammation conditions. As turmeric can be as powerful as prescription anti-inflammatories I often prescribe it for patients who have contra-indications, or reluctance, to taking conventional pain-killers. The particular product I prescribe is Metagenics Inflavonoid Intensive Care. An example was a recent patient with a sprained ankle from tennis; middle-aged man who also was very prone to stomach ulcers and had compromised liver function. Having a history of ulceration tends to rule out conventional anti-inflammatories, and sub-optimal liver function means that paracetamol is not an ideal choice as it can be hard on the liver. All the side-effects of turmeric are pretty much positive so this was a safe and effective option. I also encourage my patients with osteoarthritis, often very manifest in knees and hips, to incorporate the use of turmeric over the longer term. Once again the anti-inflammatory effects are well documented and, unlike pharmaceutical options, the side-effects are actually desirable! A Queensland vet, Doug English, has a recipe called “Doug’s Golden Paste”. It’s a simple and very quick recipe combining turmeric, black pepper (enhances the effectiveness of turmeric dramatically) and, my old friend, coconut oil (see a previous blog of mine). I have seen the Golden Paste work wonders in treating animals with everything from skin conditions and arthritis to cancer. Humans can (should!) take it too.